It is no secret that I have been excited for the release of Little Nightmares for a very long time. From its announcement, the game about a scared little girl in a strange and dangerous world intrigued me. The time has finally come, and I’ve put my own hands on the content of Little Nightmares. Now let me tell you a story. 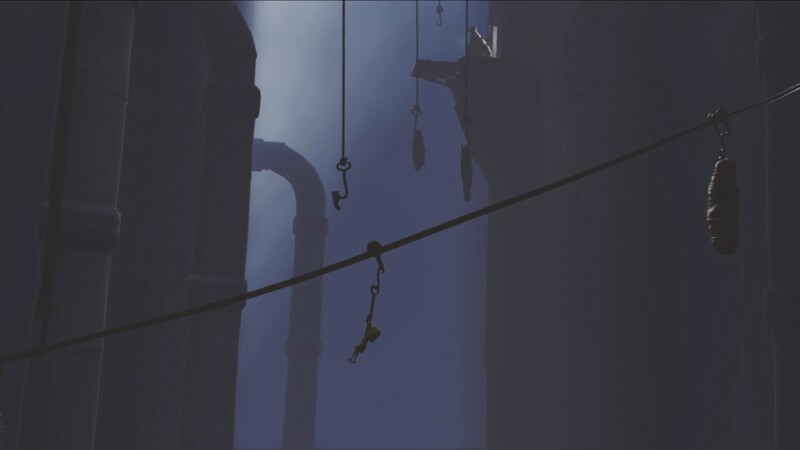 Little Nightmares has players assume the role of a little girl named Six who is stuck in a creepy, perilous world called The Maw. We know this only from marketing, as nothing in the game will explain the story to you. You are set down in a dark, damp room without preamble, and given minimal prompts as you traverse the halls. You get no explanation of where you are, or why you are there, so the only thing to do is to take off and explore the different levels of what you must assume is a very odd ship. Each area in the ship is a self-contained puzzle without further explanation, leaving players to dive right into gameplay and test the limits of the game’s controls. These controls include walking, creeping slowly, running, crouching, jumping, sliding, grabbing, throwing, and pushing. All are used nearly in tandem in every puzzle, requiring demigod levels of dexterity and attentiveness. Moving between triggers and buttons, exploring every nook and cranny of the rooms, and evading enemies keep players in constant motion. That works in the game’s favor, keeping players from becoming too frustrated or allowing the game to verge on boring. I do not think that any area of Little Nightmares could be called boring. The game is broken into five chapters, each encompassing one area of The Maw. Each area has its personal main enemy, with unique abilities and flaws. Within these areas, each room has unique puzzles, with almost no repetition throughout the game of the main concept for any room. Five hours of play represents five hours of new and intriguing puzzles needing to be solved to escape from peculiar enemies. These five precious hours avoid rehashing puzzles and pitting the player against repetitive enemies across similar spaces. 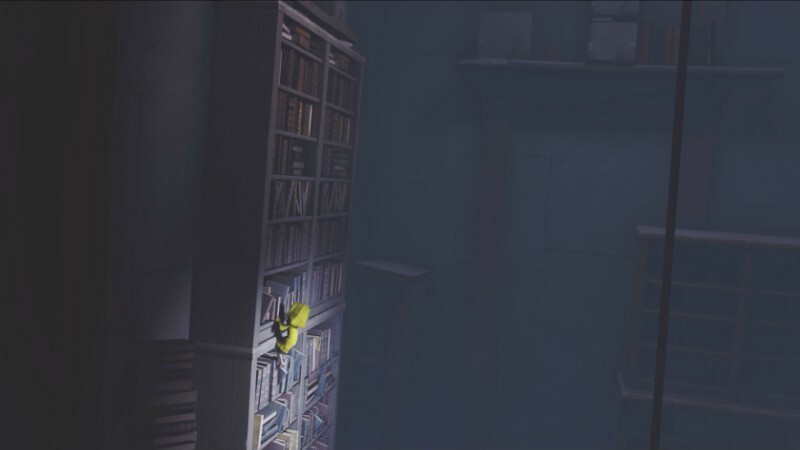 Creating these singular experiences in each area is one thing Little Nightmares does exceptionally well. That is not to say that the game is without fault. We received a Steam code from the developers to facilitate this review, and I cannot fathom why they would send out a review code for PC, given the flaws of the PC port. Little Nightmares was built for consoles, without a doubt. That it exists on PC is lovely, and that expands its audience to include those without a console in their home. Unfortunately, PC players will need to utilize a controller to play this game. If there is one thing I cannot abide, it is requiring players to purchase auxiliary equipment to make up for an issue that could have been fixed in development. 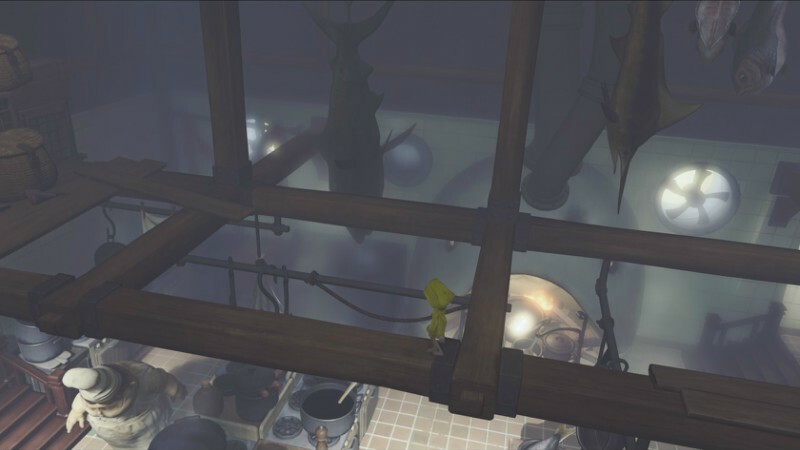 Little Nightmares uses three-dimensional movement viewed from a forced perspective through a cutaway wall. Players will need to move back and forth, left and right simultaneously, and precisely to the spaces the game wants you to be in. The perspective makes this confusing, giving the impression that you are on track to make it through a door or catch onto a handle when in reality you are a bit too far forward or behind. With a controller, this is easily rectified on the run. With WSAD, it is a not-so-little nightmare. Add the jumping, crouching, and running controls on your nearby keys, the peer up/down/left/right controls on your arrow keys, and the grab controls on your mouse, and the game becomes unplayable. 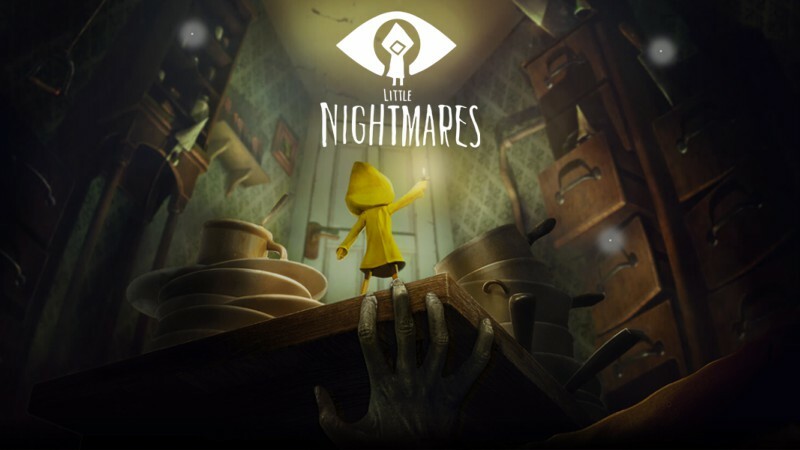 I can only assume the play testing for the PC port of Little Nightmares was done by a juvenile octopus. No human has the required number of hands and fingers to effectively watch where an enemy is moving, while simultaneously holding grab to maintain a grip on a ladder, as well as use WSAD to control the direction in which they are moving. These issues could be fixed with careful remapping of the key bindings and forgoing the mechanic to peer around when moving. They also could have been fixed in development, with time spent mapping the openings and grips of vital spaces to accept a wider range of player actions. While all works perfectly well with controllers, for PC players, there should be an understanding of ‘close enough’. Without that, playing became such little fun that I considered canceling my preorder of the game. Luckily, Steam allows players to plug in whatever console controller they may already own and use that to play most games. This fix brought the fun back to Little Nightmares, with intuitive controls and much easier navigation. This game was simply made for joysticks and triggers, and porting it to players who may not have controllers was a painfully obvious afterthought. 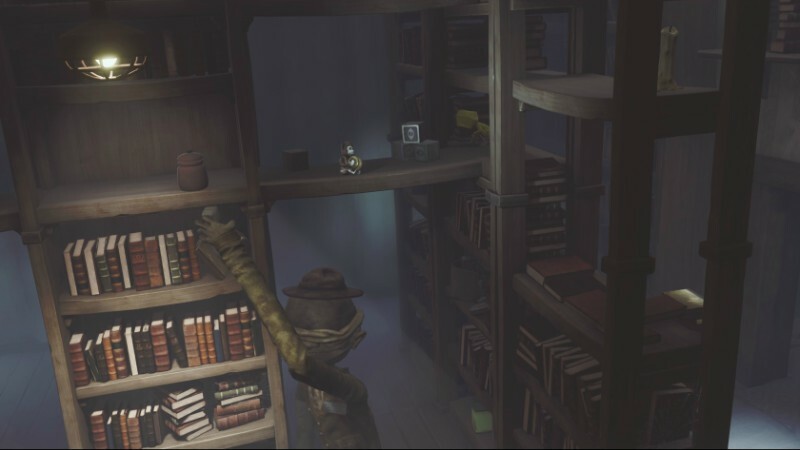 Once playing with the intended equipment, puzzles in Little Nightmares become a joy. Players can expect to die repeatedly, and the checkpoint system will sometimes leave you repeating large swaths of an area when you do. 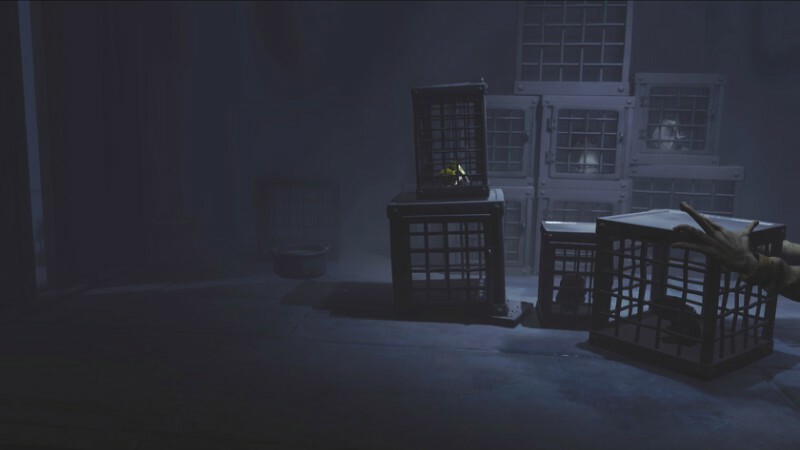 Nevertheless, each room in Little Nightmares is full of things to touch, push, pull, move, and climb, and spaces in which to hide. Some rooms require you touch every surface many times before finally figuring out what you are meant to do, and others shine a literal spotlight on the items you need to move forward. Some require you simply hit the ground running, and do not stop until a door slams shut behind you. Despite the eclecticism of it all, each area is just plain fun, keeping the annoyance of death to a minimum as you quickly learn what to do next and how to evade the unique enemy stomping about the room. These enemies, along with the atmosphere of Little Nightmares, are fantastic. Somewhere between Coraline and The Nightmare Before Christmas, The Maw exists as a twisted shrine to childlike wonder. It is the stuff of fairytales if one remembers that fairies are commonly foes. Painted in muted colors and little light, The Maw is a foreboding place unaccustomed to things like hope and courage. It almost appears as if every aspect of this game is a little bit grumpy. The enemies are grotesque, each new face more distorted than the last. Even Six is creepy, with tiny glowing eyes that occasionally peer out from under her oversized raincoat. None of the characters speak, though all make their own noises. From the tiny grunts and pattering footsteps of Six to the pig-like squeals of the chef and nasal breathing of the dollmaker, each character has their own voice without words. Each character has their own music, too – unseen children hum a sweet but strange tune when Six is alone. Frightening music plays when the dollmaker draws near, and discordant horns blurt out their notes to alert you that the chef is ambling about the next room. The music adds a layer of personality to each character, giving the story depth despite its lack of dialogue. Beyond lacking dialogue, there is no moral to the story of Little Nightmares. It is a take on a traditional pan-Asian fable, though telling you which would ruin the fun. It is more than halfway through the game that you begin to get into the story at all, with the earlier chapters simply focusing on the terror of one little girl and the monstrosities living in The Maw. Even without much story, the beginning of the game manages to draw players forward, and the story kicks in by the time curiosity wears off. In the end, the game reminds me very much of a certain movie I enjoy, and the gameplay itself is entertaining enough to recommend. The puzzles are exciting if sometimes a bit too subtle. The characters are interesting, and the story itself is fun despite being late to the party. Overall, the only things I dislike about the game are its short playtime and the compatibility issues with keyboard and mouse gaming. Little Nightmares releases to the general public on Friday, April 28th and will be available for PS4, Xbox One, and PC for $19.99. The game takes 5-6 hours to complete the first time, with some replay value added thanks to achievements and worthwhile exploration. For players purchasing on PC, we highly recommend playing with a controller. Players sensitive to gore or violence will enjoy this game, as well as pre-teen children, as it does not show outright depictions of either, for a variety of horror that can be appreciated by the whole family. Steam PC code provided by developer for the purpose of this review.